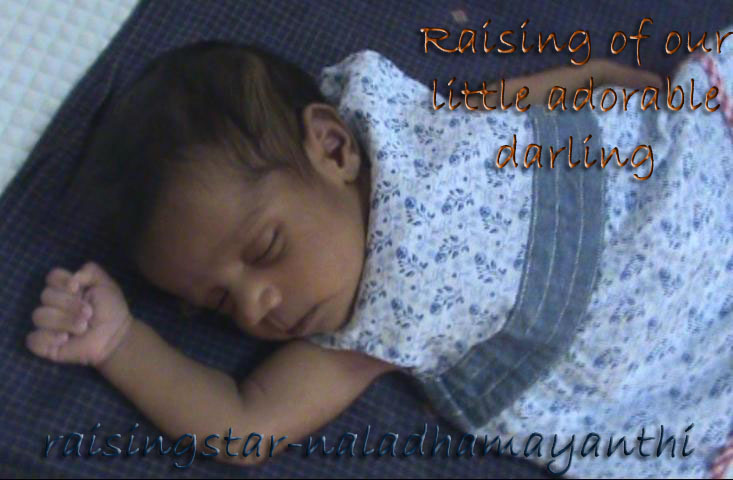 Raising of our little adorable darling: What did Sharmi Aunty buy for you? I got a gift from Sharmila Aunty for my Birthday! Any guess what it was? Oh! My God... How to open this??? What is inside??? It was a wonderful Toy Car. I liked it very much. I like to drive this car everywhere inside the house. Whenever I'm bored I press a horn button and it sings a song for me. Can I go for a ride???? It has a luggage box also, I used to put some of my toys and take it for a round! I know how to ride this using my legs. Ah... What is this? Toys carrier???? And sometimes I will ask my Appa to push the car for me. I will keep my legs little bit up on the front part of the car and car will move very fast (and furious too) !! 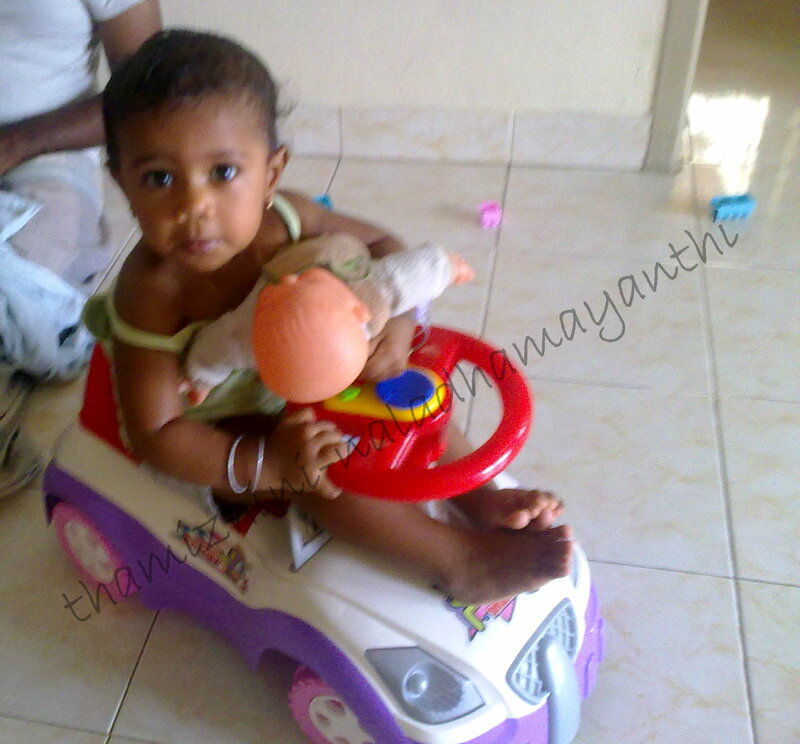 Taking Baby doll for a ride!!! I like that very much. I take my baby doll also along with me whenever I ride this. I love this toy car so much. Thankyou Sharmi Aunty for this awesome gift. Wov! Superb expressions Thamizhini! What a curiosity? What an enthusiastic? Ya Vadivu... Chumma antha box -eh suthi suthi vandha. 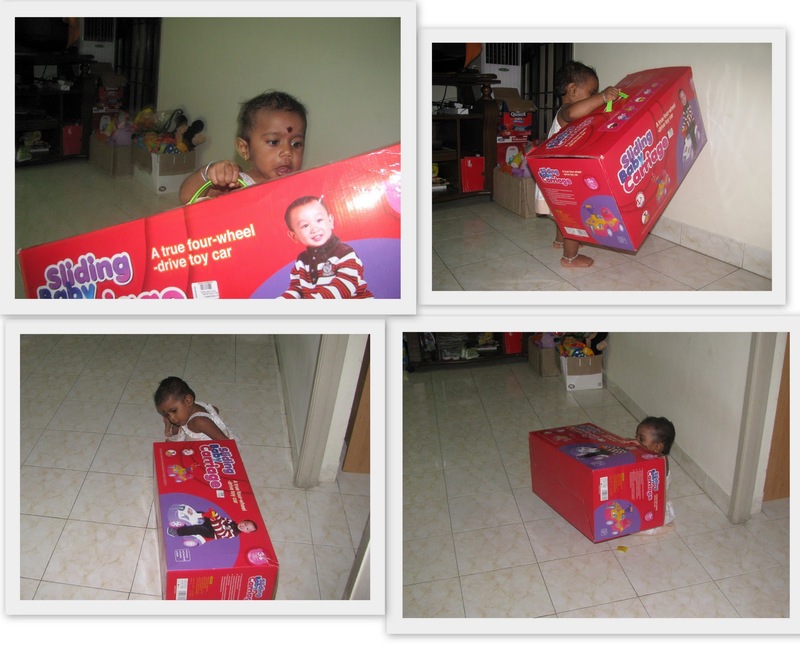 Actually what she was carrying in empty box. 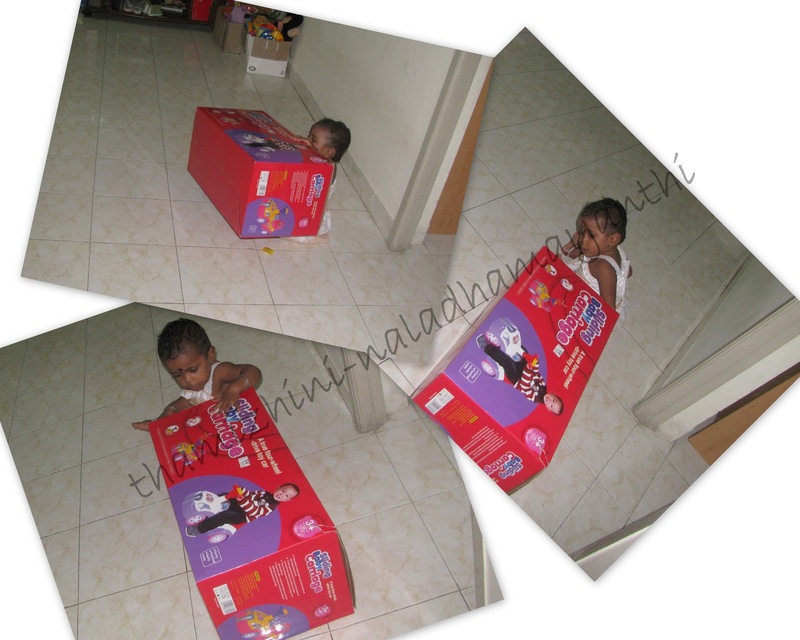 We were telling Car- eh vida antha box thaan pidichirukum pola nu.